Guznah Buan, his wife and four chi ldren accepted Jesus as their personal Savior through baptism when Elder Tucker held an evangelistic effort in General Santos City in 1990. From1990 to 1996, this family was faithful in serving God. Each Sabbath they attended and participated in church services. But from 1996 onward, Guznah and his wife experienced hardships, sickness and ill treatments. And because of their lack of knowledge and trust in God during their difficult times, they began to forsake Him and eventually left the church. 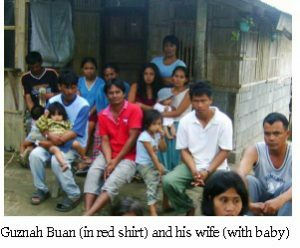 On the first week of November 2007, my co-adopted ministers and I started our groundwork in Lathel, Guznah Buan’s place. We proceeded to Guznah Buan’s nipa hut. 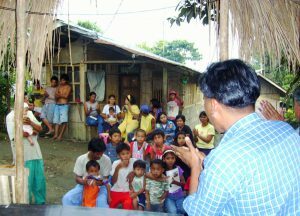 In front of his house, we invited the neighbors to gather and then gave a Bible study. 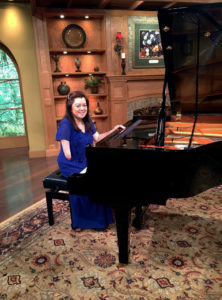 On that very night of our first visit, Guznah was touched by the Holy Spirit. We saw tears falling down his cheeks and then he told us his story. After many years of being away from God, he felt he had been found once more. He was so happy; you could see the excitement and joy on his face. That night he asked God to come back to his life. The following night, one of his neighbors invited Guznah to drink liquor in the nieghbor’s house. But Guznah refused since he was touched by the timely message. He told his friend that he was tired and needed to sleep early and rest for his early work in the cornfields. His neighbor left and asked another friend to go with him instead. Three hours later, in the house where the people had gathered to drink, a fight ensued. There were lots of shouting and hitting. In the end, the man who went with Guznah’s friend was stabbed to death. Word of the tragedy went out to the neighborhood like wildfire. Right there and then, Guznah realized how God had spared his life.The following night, Guznah related the tragic story to us and thanked our group for sharing God’s message to him on time. Guznah told me secretly that he was the main target of the killer. We were so happy and thankful that God used us in saving Gusnah from death. Today, Guznah and his family are faithfuly serving the Lord again. Our Lord in heaven has a thousand ways to keep His children from danger, especially the one who goes back to Him.